Listed as No 14 in the 1911 census, Strand Bar as it was known to locals and visitors alike for many years, was a two storey building. According to the census it had at least ten rooms, with eight windows to the front. A stable, cow house, and piggery are listed as the out-offices. The head of the household Nicholas Rooney a native of Old Parish married into the house and lived there with his wife Kathleen (nee Foley) and their three children Margaret Mary (Rita) James (Jimmy) and Kathleen. The bar was actually a combined bar and shop. The shop was incorporated in the bar with the advent of large number of visitors after the opening of the caravan site in Ardmore in the early 1960's. It still operates as a licensed premises to this day. 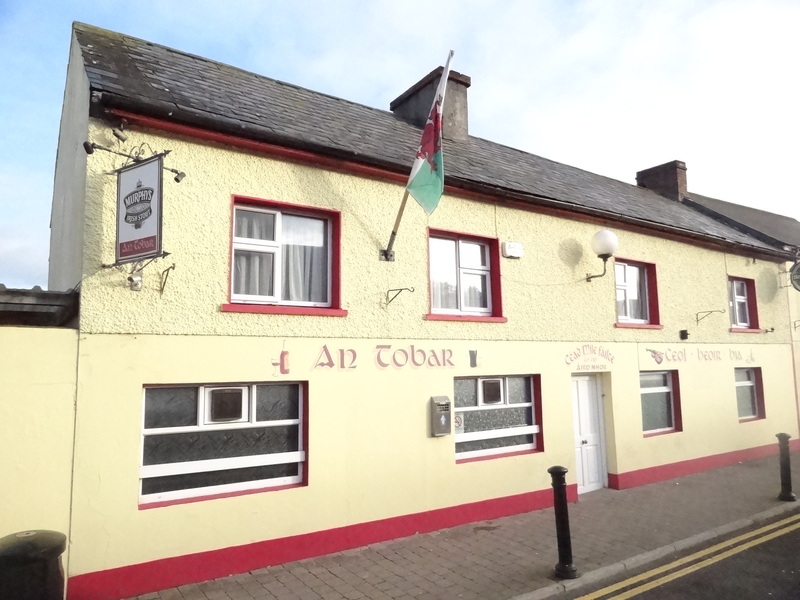 It was also later known as the Dunvagan, and featured in Nora Roberts Trilogy as Gallagher's bar, and later again as Paddy Macs and now of course An Tobar.